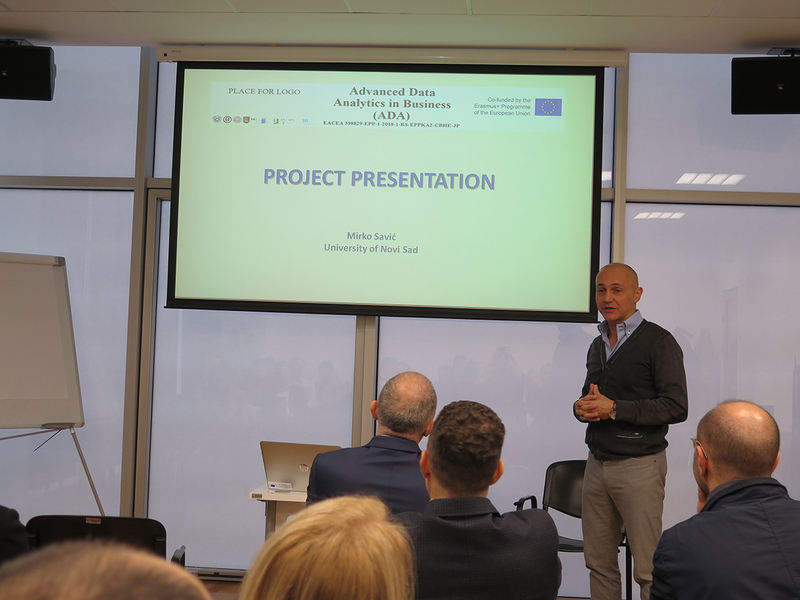 Two-day kick-off meeting of ADA project was held on November 26-27, 2018 at the University of Novi Sad, Serbia, with the participation of all project partners. First day of the meeting, project coordinator, prof. Mirko Savić, presented the main objectives of the project. Also, each partner presented its institution, and key activites on each Work Package were analysed. Second day of the meeting started with the presentation of the representatives of National Erasmus Office. Also, main management structures and bodies were elected and Action Plan of the project was discussed. More details on the meeting can be found in Agenda	(9 downloads) .